After crossing the magnificent large doors of the Hotel Del Tejadillo, the guests walk into an authentic colonial Guesthouse. 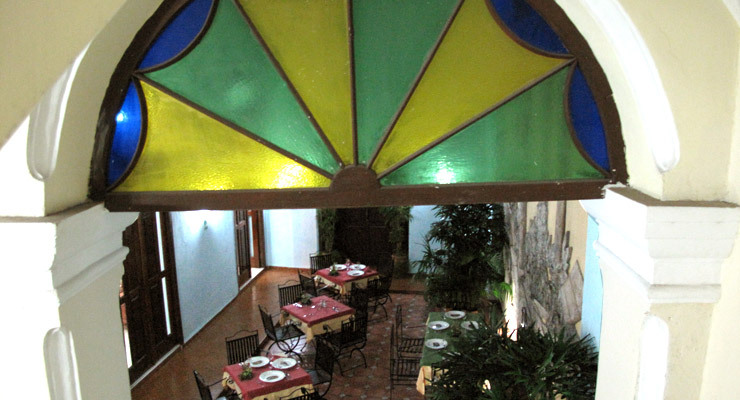 The house is decorated with paintings that show the aesthetical eclecticism that prevailed in Havana at the time, unique pieces of ceramics and travelers copper statues. 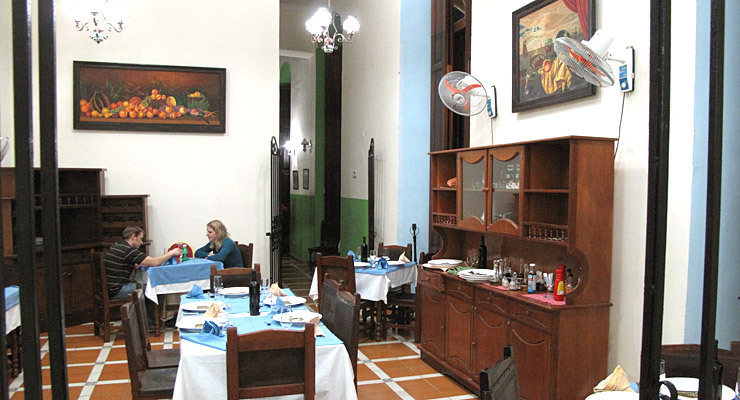 Its spacious and well illuminated lobby rekindles the captivating living room of a stately 18th century Habana mansion, leads to attractive Catedral, breakfast inner patio room named after the nearby Cathedral Square. 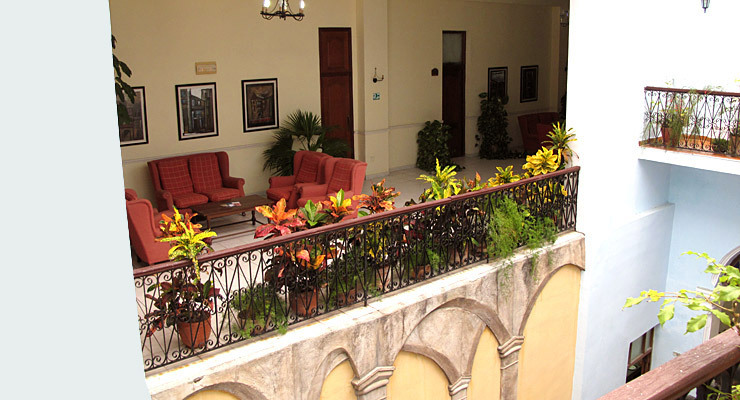 The hotel also has two inner courtyards: "La Arcada" has a mural depicting facade arches and galleries of the old city, and "La Yagruma" is for those who prefer calmness and contemplation in the tropical garden. Welcoming interiors are the Tejadillos most evident charms. 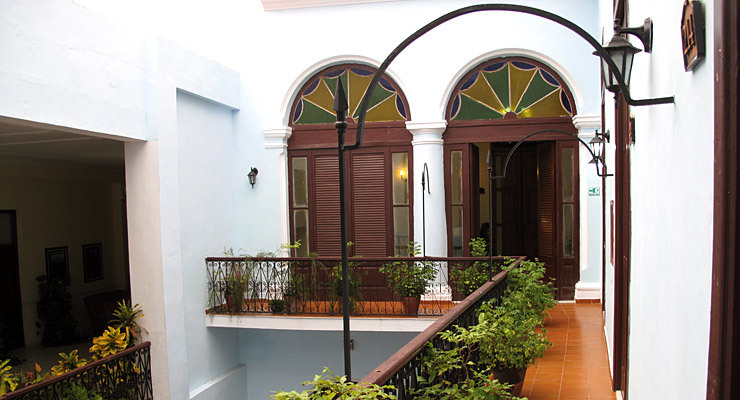 At the intersection of narrow cobbled streets, the hotel enjoys an intimate and relatively quiet setting in the colonial heart of the old town. Rooms: most rooms are arranged around a pleasant courtyard, adorned with a central fountain and pierced dramatically by a tall tropical tree. Though a number of these lack windows, all are spacious and favoured by the quiet and cosy surroundings. The breakfast usually a accompanied by live violin music. Guests can enjoy a meal at a cozy and discretely elegant dining area or its adjacent, courtyard. Past the eatery is a small, pub like bar with tall, barred windows, that look out onto cobbled thoroughfares, where the Cathedral stands a block away. Facilities: Bar, TV Room, Tour Booking Desk, Lifts, Restaurant, Parking. 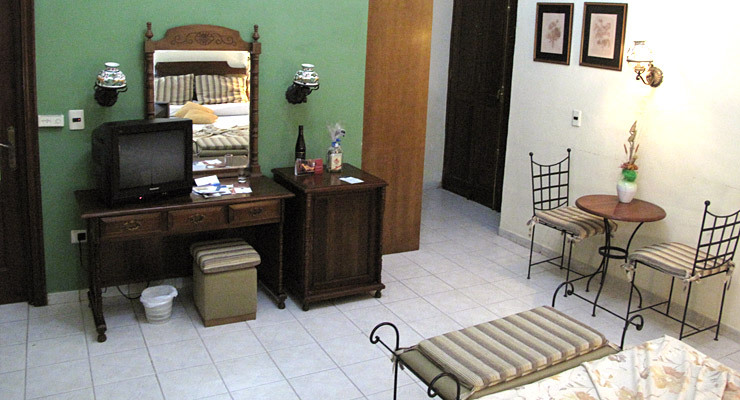 All the rooms are Air Conditioning: 2 Junior suits and 26 Standard rooms, 4 Triples rooms. Meal Plan: Room and Breakfast. Distance to Havana International Airport is 24 km. 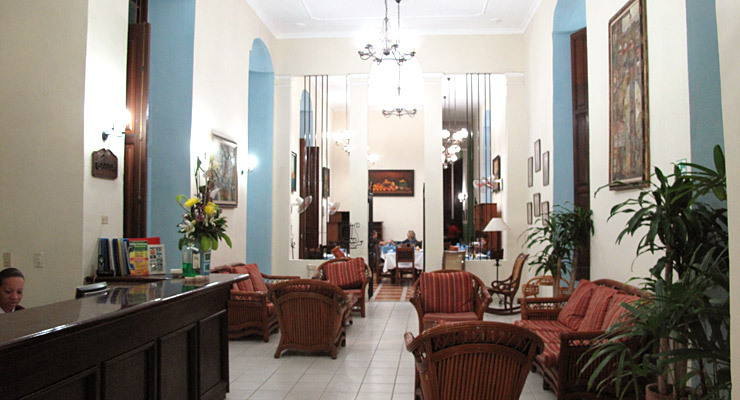 Crossing the magnificent large doors, visitors walk into an authentic Colonial Guesthouse. Rekindle the captivating living room of a stately 18th century Habana mansion. Spacious with high ceilings, decorated with paintings and unique pieces of ceramic lamps. 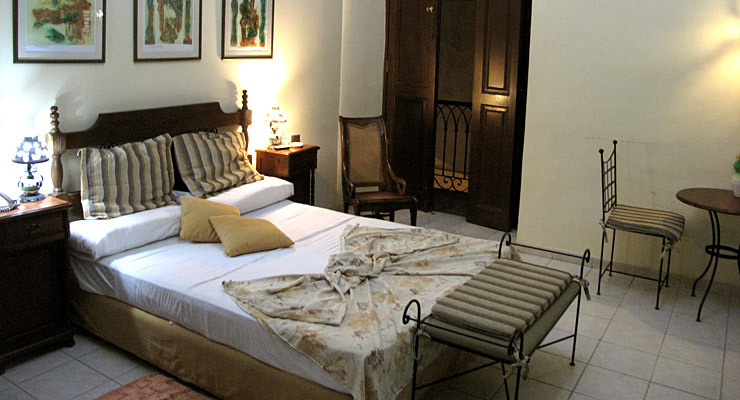 Rooms are equipped with fully functional kitchenettes, mini bar and free safe deposit box. 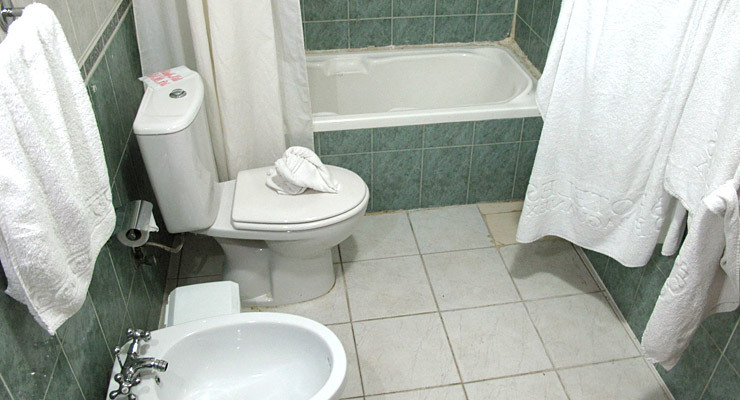 The spacious bathroom has a large shower and soaking bathtub. 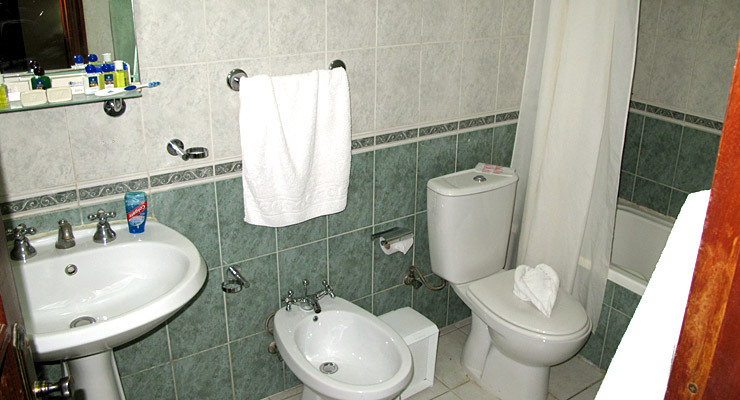 The bathroom has many of bathroom towels, shampoos and soaps. 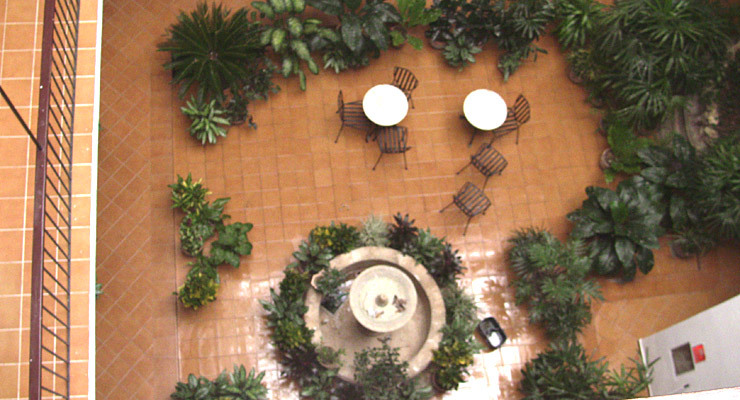 Inner courtyard La Arcada, has a mural depicting facade arches and tropical plants. 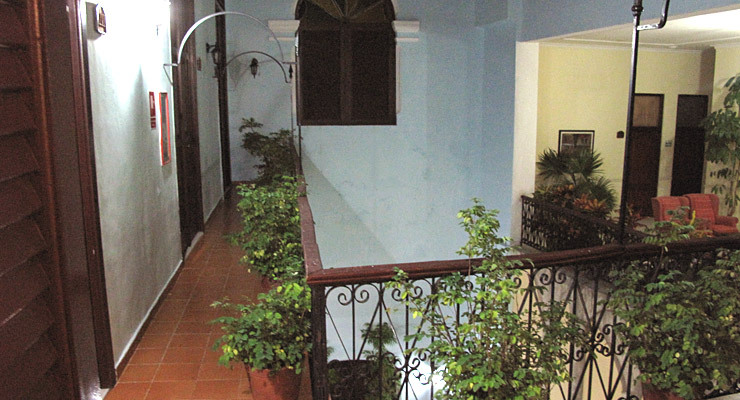 Inner balcony adds of authentic colonial guesthouse atmosphere. 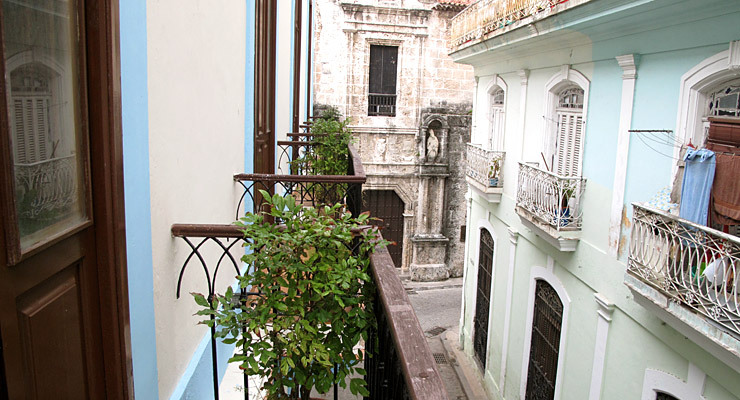 Inner balcony garden, the aesthetical eclecticism that prevailed in Havana. La Yagruma, inner patio is for those who prefer calmness and contemplation in tropical garden. 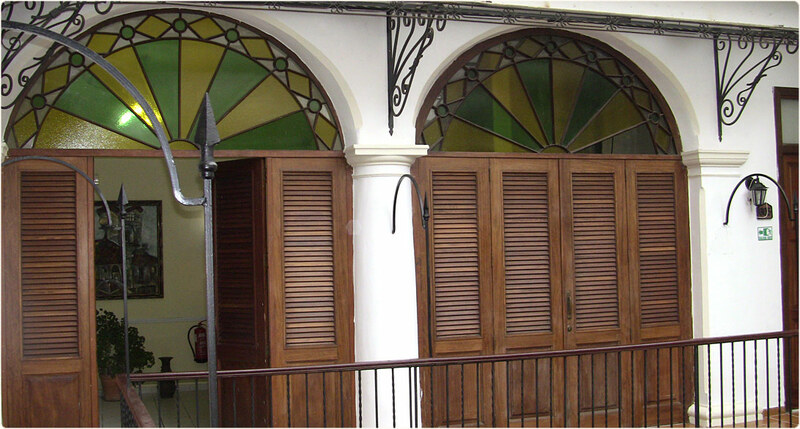 Bar is a dazzling venue decorated in colonial style, accompanied by live violin music. Large balcony with view on charming cobble stone street.